Take our beginner's class to learn how to smock. Please see the attached Class Requirements. 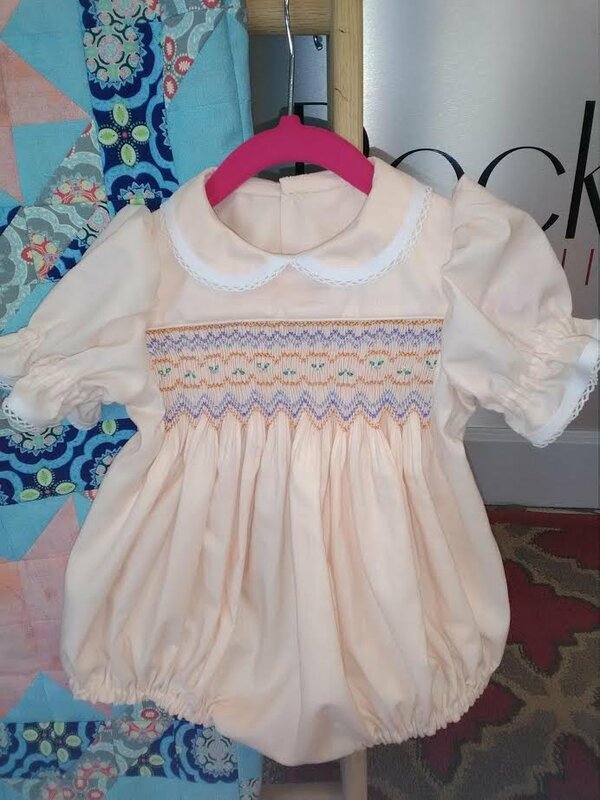 Materials Included: Book for class, possible patterns (bishop, nightgown, insert for a boy, front yoke dress), instructor. Requirements: Choose your fabric and leave it for pleating so it will be ready for your first class. Instructor Bio: Kelly Akins (214) 356-4642 or allan_akins@att.net Fabric Choices: Solids or small cotton prints work well to learn how to smock, but you can choose a larger print as well. Please do NOT choose a stripe or a plaid for your first project.